yanyun chen: Jimmyfish has been awarded at Japan Media Arts Festival! Jimmyfish has been awarded at Japan Media Arts Festival! 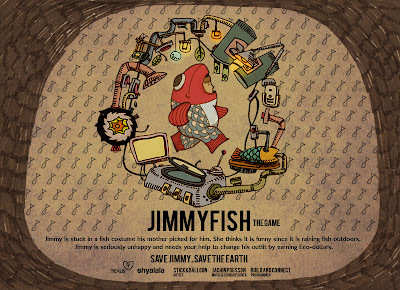 I'm very proud to announce that Jimmyfish the game has been awarded "Jury Selection Work" for outstanding works at the 15th Japan Media Arts Festival to be held in February 2012. A big cheer to the whole team! Thank you Mark! It's awesome... I hope you have been well!